Cardiac rehabilitation is a medically supervised program designed to improve health in patients who have experienced heart failure or a heart attack, or who have had heart surgery or angioplasty. Comprising exercise, education regarding risk factors and counseling to reduce stress, it can make a significant difference in terms of increasing lifespan, yet many patients are reticent to take part in it. Heart disease can produce fatigue and depression, and the idea of working out at a gym or in the pool can fail to excite. In steps Tai Chi - a practice which is often carried out outdoors, which research has shown to hold great promise for those in cardiac rehabilitation. What does Tai Chi Have that Other Forms of Exercise Don’t? Some of the most common complaints made by patients undergoing rehabilitation is that exercise is unpleasant, painful or even impossible given their current fitness level. A recent study published in the Journal of the American Heart Association, however, has shown that Tai Chi may just be the perfect answer to these complaints. The study was carried out at The Miriam Hospital in Providence, Rhode Island, on 29 physically inactive heart disease patients. Findings showed that Tai Chi was safe (with no adverse effects except minor muscular pain when training commenced), feasible (patients attended around 66 percent of the classes) and most importantly well liked by patients - 100 percent said they would recommend Tai Chi to a friend. Moreover, although Tai Chi itself did not raise aerobic fitness, it did raise the amount of moderate to vigorous physical activity patients took part in, after three and six months, respectively, of attending Tai Chi sessions. In order for rehabilitation to have its desired effect, patients need to adopt ‘the full package’ - in addition to exercising, they also need to learn about risk factors, follow a healthy diet, get fast-track appointments for treatment with cardiologists, and the correct way to take their prescribed medication. However, Tai Chi has a crucial role in helping patients feel happier and more confident, serving as a type of ‘bridge’ to more strenuous cardiovascular exercise. 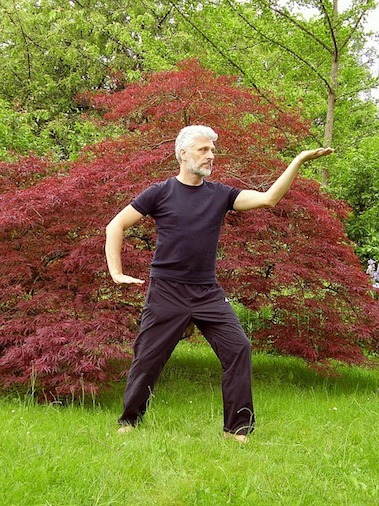 Today, Tai Chi is used in a variety of health settings, including rehabilitation programs for addiction, stroke, eating disorders, and depression/anxiety/PTSD. As a gentle, mindful, feasible exercise that can be adopted by all ages and fitness levels. It is so much more than a bridge between East and West cultures.